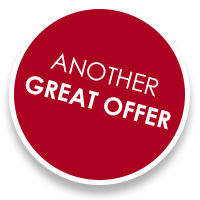 Covering the North West at unbeatable daily rates! Kia Picante One from just £26 per day - 7 days for just £105! Transit Custom from just £55 per day - 7 days for just £190! Join us on your preferred network to keep up-to-date with the latest deals & promotions from Cooke Bros.
Cooke Bros vehicle hire the most competitive and reasonable car and van hire service in Stockport, Manchester and Wigan areas are ready to get you on the road with quality vehicle rental of all shapes and sizes to suit any individuals needs and budgets. With friendly expertly trained rental staff will ensure that your rental vehicle is sparkling clean and ready for your collection on arrival all our customers are normally serviced and on the road within 20 minutes of arrival. We try to make the process of hiring a car or van as simple and straightforward as possible with courtesy customer collection, flexible payment methods and fully insured vehicles with no hidden extras. Car or Van rental the paperwork will be prepared and your licence check can be preauthorized, we will walk you around your rental vehicle demonstrating the controls and detailing any damage until you are totally satisfied. Ensuring that you are comfortable and satisfied with your rental vehicle, allowing you to set off to a smooth and stress free journey. Cooke Bros hold a great range of vehicles to choose from. Your choice starts with small compact and economical cars for popping around town, extending to and including comfortable family saloons and estate cars with plenty of leg room, comfort and luggage space to spare. Our commercial van range can accomodate the moving of small items to larger loads or house moves – a choice of modern vans that drive like cars that give you plenty of capacity for the largest of moves or loads. 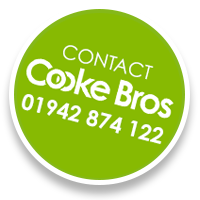 Cooke Bros has the facility to service al areas of the North West, Astley, Atherton, Ashton-in-makerfield, Bolton, Bury, Chorley, Haydock, Leigh, Lymm, Manchester, Northwich, Nantwich, Preston, Skelmersdale, St Helens, Warrington, Westhoughton, Wigan. Cooke Bros vehicle rental offer a courtesy collection and return service to all our valued customers who pre book any rental vehicle. We are happy to collect you from home, work, railway station, Manchester or Liverpool airport (airport parking charges will be the hirers responsability). On return just return your hire vehicle to the rental office and we will take you back home, work or airport whichever is most convenient for you. No expensive servicing costs as all manufactures recommended services are included. No excessive termination costs which could be any unused rental period plus any excess mileage. Chnage you into a New vehicle at 3 month, 6 month or 12 month intervals.